Here at CFT we strive to do better than our competition. We want to not only help our community, but want you to recommend us to everyone you know. We pride ourselves on being the best in computer financing. CFT helps you purchase a new (not used) computer. After you establish credit with us, we ship you YOUR computer. That’s right, when you receive the computer it is YOURS, not ours. This is not a lease or rent-to-own. We offer you financing at 1 flat interest rate of 5.99%. No credit check and no hidden fees. Don’t need financing? No problem we can accept payments up front or offer shorter financing terms. We love to customize our plans to meet your needs. Give us a ring and see what we offer. We want to beat the competition. So, for the rest of the February we have decided to give you a FREE Color Printer. FREE. Color. Printer. This beautiful printer can print photos and other documents wirelessly or via a memory stick. Well, pretty straight forward: You purchase a computer from us and in turn we will ship you a brand new computer. That’s it. So what are you waiting for? March will be here before you know it! What’s the difference between Computer Financing and Leasing Computers? In a nutshell, one you own the computer and the other one you don’t. After doing some research we noticed that there was a need for computers by people who were not able to purchase a computer due to financial set backs. So we launched an initiative to help those who needed a computer but could not go through ordinary lending channels. Thus we learned the difference between Computer Financing and Leasing Computers. This option is the one where you own the computer. We help you customize a financing plan where you can pay an affordable amount. At a predetermined point we purchase the computer based on the specifications that meet your needs and have the computer shipped directly from the factory to you. You own the computer upon receipt, not us, AND no one has owned or touched the computer prior to you. Computer leasing is where you are shipped the computer after applying for credit. You must have good credit and be able to prove that you have the ability to make monthly payments until the computer is paid in full. During the time that you are making the payments, you DO NOT own the computer. The leasing company owns the computer. The benefits of computer financing is that not only do you own the computer, but that the computer you receive is one of the best computers on the market at the time the computer is shipped. Meaning, if we go to order the computer and there is a big hard drive versus the one we quoted, you get the bigger hard drive option with no extra fees or hidden costs. We offer several different flexible payment plans, but should there be a disruption in your income, you can contact us and we can make arrangements to help you through the rough times. We are here to make this a win-win situation for everyone. After all, if you’re not happy you won’t recommend us and we would like everyone to recommend us. 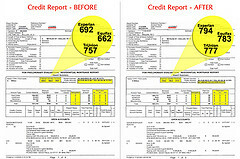 Credit repair. This is a big thing to a lot of people. So we have created a credit repair program that works hand-in-hand with our financing plans. Upon successful completion of the agreement, we will send you a letter that states that you meet the payment agreement for X amount of months. You send this to all the credit bureas and they put that on your credit report and your score should improve. Not enough? Want more? No problem. Because we want you to love us, we will provide a credit reference for you while you are still in the program, so long as you are meeting the agreed upon terms. We strive to make this affordable for you so that you have a better option than a Rent-To-Own computer which is used and/or out-dated. We want you to be more than satisfied with not only our customer service, but with the computer selection we offer. One size does not fit all. We offer several computer financing options and if you don’t fit into one of those plans, we can work outside the box and come up with a financing plan that fits you. In our post Is Your Business Missing the Computer?, we talked about a lot of things your business may need, like a website, software, document storage, and marketing and advertising. I thought I’d take a moment of your time and expand on this theory a little more. All good businesses today should have a web presence. It helps build your reputation, allows for you to be found by your clients, and most importantly, tells the world who you are and what you do. Now there is a big debate over website versus blog, but that is not our intent here. A website is a must whether you have a site that says “here we are and here’s what we offer” or a more interactive site that allows you to have a conversation with your clients. You don’t need to spend a lot of money on a website or blog, but I highly recommend that unless you are a techie, you find a good web or blog designer (we recommend CreativeAce.com) that can get you set up as quickly as possible. If you do have some technical expertise in web design or HTML, then you can setup your own WordPress blog in minutes. We do strongly recommend that you DO NOT use free blog sites like WordPress.com to run your business as their Terms and Services prohibit that. If you are a new business or want to setup up a Business Blog then we highly recommend visiting GrowMap. They have done a lot of research and taking a few minutes to peruse the articles on their site will save you hours of headaches in the future and probably give you a lot of good ideas to boot. If you want to save a couple bucks, but decide that you need someone to create and setup your web presence here are some things you can do prior to hiring that Techie. The first step you need to take, is finding a good domain name. Your company name is usually a good place to start, however, if it is taken then do a little finger work. I recommend that you watch Andrew Rondeau’s video on how to use Google keywords that will drive traffic to your site. This information is good for researching a good domain name, as well as keywords that your SEO Techie will be needing to drive traffic to your site. So think of it as killing two birds with one stone. It’s not complicated, but it is the best explanation in layman’s terms that we could find out there. So now you have a domain name and 6-8 keywords. What do you do with them? Well, now you need a place for the world to come find you. Don’t be afraid, there’s nothing wrong with hosting and it doesn’t have to be expensive either. There are a lot of recommendations out there, be we’ve been using Godaddy for a long time and couldn’t be happier with them, so obviously, we’re going to recommend them. They offer a lot of platform choices and self-help options. Once you decide on a host, purchase a domain name and a hosting plan. After you have acquired these 2 things you can give your Techie the rights to set up everything. This should not cost more that $5 or $6 a month. Do you want to have a conversation with them? Do you want immediate feedback? Do you want to update your content? If so, how often? Do you want to update all pages on the site or just your blog? What type of graphics do you want? Do you need an e-commerce site (where you sell products)? The answers to these questions will dictate the type of hosting package you need. Don’t be alarmed, these are standard questions and a designer should be adept at helping you narrow down what you want so that the end result is exactly what you want your customers to see. Now if you have some Techie in you, you can buy a domain name and hosting package with little to no outside help. In fact GoDaddy can walk you through this process and if you buy a Linux hosting package, they can even walk you through how to add and setup a basic WordPress blog on your site (WordPress is available on all Linux hosting accounts with no added extra fees). This is the easiest and quickest way to get a site up a running and you won’t need to know HTML. (NOTE: Be careful when adding Plugins to your site. DO NOT go hog wild. Some plugins are needed, but don’t play nice with others. If in doubt, ask a Techie). If you have some HTML knowledge you could purchase a basic website template from DreamTemplate and you’re on your way. This is the quickest way to setting up a website as they come with all the files you need to include graphic files that can be edited. It will take a little longer than setting up a blog, but you can always add a blog later. A lot of websites do that. If setting up a website or blog isn’t your thing, visit CreativeAce.com and they will get you up and running in less than a week. PS: They’re running a special of up to 5 web pages for $500 until February 14th. Tell them Max sent you. Welcome to Computer Financing Today (CFT). We are here to help you buy a computer regardless of your credit. I have been asked how this computer credit (also known as computer financing) works. So I put together some quick FAQs. 1) I have bad credit/ no credit. Can you finance me? Yes. We can finance almost anyone. All you need is a job and a checking account. 2) Can you help repair or build my credit? Yes. While we cannot fix your credit, we can help repair your credit by providing a statement to all 3 credit bureaus about how you paid and when. If needed we will also provide a credit reference while you are still making payments to us. 3) I have been quoted 18% interest rate previously, is this what you charge in interest? No. No matter your credit we only charge 5.99%. 4) Do you run a credit check? No. We do not run a credit check. 5) What is the monthly or yearly membership fee for this program? None. We do not charge an annual or monthly membership fee. We are not a computer club. We sell computers to a wide array of consumers and base our payments plans on your income and comfort level. If you are currently employed, have a open checking account, and make approximately $1500 a month or more we more than likely can finance you. We will build a customized plan that fits your financial goals so you can make weekly or bi-weekly payments directly from your checking account. We believe that everyone should be able to have a computer in today’s high tech world and we strive not only to meet your expectations, but exceed them, regardless of bad credit or no credit. Time to buy a computer? A lot of choices out there huh? Finding a brand is only the first part. I know my head spins once I get into RAM this, gig that, and all those numbers before the acronyms. Does anyone really know what they mean? I get numbers. That’s my “thing”. I’ve been doing financing for more years than I care to count. I know numbers when it comes to money. I know how to figure out if it’s worth buying outright or paying over time to get a bigger bang for my buck. Determine what type of computer you want (I personally recommend Dell™). I’ve used lots of different types of computers over the years, and despite some growing pains and the fact that not every brand is perfect, I still recommend Dell™. They are consistently the best all around. Determine what you want your computer to do for you. Laptop or Desktop? Don’t have a lot of space? Go with a laptop. Do you need it for school, business, personal, or gaming? With the exception of gaming, you may not need the cutting edge graphics card or sound card. Or do you want to check email, do word processing and surf a little? 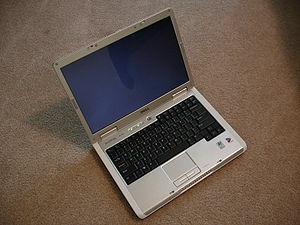 Check out a Netbook. They deliver a lot bang for your buck on this. Now that you have defined what you want, let’s see how you can get it. Sooner rather than later. 1 – You can purchase more computer paying over a short amount of time versus coming up with all the money up front. Interest rates are defined by who is doing the financing and may also be dependent on your credit score. Credit Cards - depending on your monthly balance it may have a high interest rate. If you are new to financing you may not be able to get a credit card with a low interest rate until you have established credit. 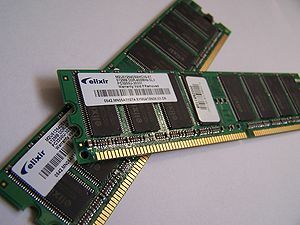 Computer Stores – they usually only offer very short term leases to people with good to excellent credit. Financing Companies – there are companies which offer credit to anyone regardless of whether they have no credit established, poor credit or good credit. Some of these companies charge a high interest rate and some even charge a yearly fee to be part of their program. 2 – Financing a computer can help improve your credit score. Depending on who is offering the financing, they may report your payments to the credit bureaus thereby improving your credit score over time. 3 – For Business Owners computer financing allows you to write off the interest. For new businesses, financing is a way to purchase want you need now to run your business without breaking the bank and in most cases you can write off the interest rate on your taxes. An up-to-date computer is the core of most small businesses! This will also help your business establish credit. Unlike most companies we can tailor a payment plan around your budget. With your authorization we can automatically debit your checking or savings account. Once setup there is nothing more for you to do. We pull the amount based on a set schedule and then send you your computer. How easy is that? You pay us only until the computer is paid for and nothing more. No annual fees, no high interest rate. No muss no fuss. We keep it simple. You have a question, call us. You have a problem, call us. We want you to tell us we’re the best thing since sliced bread, leave a BIG comment and call us. Want to buy today? Want to see what we have to offer? Give me a ring: 757-705-7739 and we’ll give you all the details, in writing. Ok. I’m like the next girl in this tough economy: always trying to save a buck. But recently a friend of mine (let’s call her Jamie) was telling me about the GREAT deal she got on a laptop computer. I was astounded. It was a brand name laptop computer with 1GB RAM and 150GB hard drive and she only paid $350.00. Wow. Sign me up. No can do. This was a one of a kind offer from a retired executive that was selling his laptop that he just didn’t need anymore. Found this little gem on Craigslist. It was only 3 years old and didn’t even have any of those silly stickers teenagers plaster their laptops with. 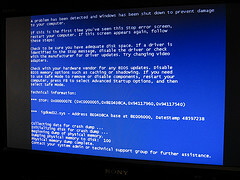 Well, when she got it home and turned it on it came up with the infamous Blue Screen of Death (techies are a little over the top with this term aren’t they?) Funny, it didn’t do that at his house when he turned it on. Not to worry, it went away after rebooting twice. Phew. Now it didn’t come with Windows 7 or XP Pro or any antivirus software. Jamie upgrade to XP Pro and added antivirus software for $175 total. She admits that it runs a little slow. Well a couple of weeks later and after her second Starbucks latte Jamie confessed her “new” laptop was nothing but a paperweight that has to be plugged in (guess the laptop battery isn’t what it used to be). She thought she was saving money but it turned out just to be a waste of money. There are just some things you shouldn’t buy used (mattresses come to mind too). Maybe it was a bad sign when the exec and his wife were high fiving as she pulled out of their driveway. I told her that next time she should consider financing one. That would enable her to get the latest greatest computer with everything she needs AND a warranty. I hope this story saves someone else the headache and money of buying a computer that is sketchy. Thousands of new businesses are launched from home every year. What do almost all of them have in common? Even if your business isn’t technology driven, a computer is essential. It manages and automates a lot of redundant tasks and having the latest technology saves you time, money, and headaches over the long haul. Nearly every business has a web presence. Some use a website to gain business and others use their site just for credibility. What a lot of new entrepreneurs don’t realize is that instead of spending $1000 or more to have a professional web designer create your site, with a little patience and some HTML understanding you can create your own for next to nothing! You can purchase your domain name and hosting on GoDaddy for less than $15 and your can purchase a website template from DreamTemplate and you’re on your way. If setting up a website isn’t your thing, visit CreativeAce.com and they will get you up and running in less than a week. Basic inexpensive software such as Quickbooks can get you off to the right start. This type of software will track both your business and personal finances. And when the dreaded tax season is upon you, you can export a file and send it directly to your accountant saving untold headaches later on. As an added bonus, you can pay your bills online and create customer invoices as well. Lets face it. The green movement is here to stay and part of that is as simple as saving trees by using less paper. If you don’t care about that (and as a new business owner I completely understand that you have more to worry about) then consider this: it is a lot easier and significantly cheaper to maintain vast quantities of electronic documents than paper documents. And with all the available off site back up systems and do it yourself products, you shouldn’t have to worry about losing data. Whether you want to create brochures for your customers or Powerpoint presentations to woo new clients you’ll need the latest technology. Doing these things yourself will also save you a ton of money and is surprisingly easy (and fun) to do with all the software options available. If you are a product based company have you considered selling your wares on Ebay or other auction sites? Well obviously there is more that I could say. But if you want to get your new business off to the right start, then consider a new desktop or laptop computer. It really will be the foundation of your new venture. If the cost seems daunting, consider financing it from us. We offer credit to new businesses. Call us to see how we can help! Interested in Computer Credit? Good, because I have been asked to talk about financing computers. Why? Well because I’m the math person around here. Guess that qualifies me huh? Anyway, recently, our sister company, CreativeAce decided to sell computers and all that goes with it. The long debate was what kind of computers to sell. They decided on Dells™ because that’s what they have worked with for years and they like them. However, in the course of setting up selling products, it became apparent that CreativeAce was not setup to handle financing. So what did they do? They asked me to come in and create a financing department. So over the last couple of months I created forms and policies and researched and researched. I brought in gurus and associates and the next thing I know, we are not a financing department. Instead we morphed into our own company, hence Computer Financing Today! Now just as it was natural for CreativeAce to start selling products, so was it natural for our financing company to be a joint venture with CreativeAce instead of being part and parcel of the same company. So, we are here to help you purchase a computer even if you don’t have the cash or credit to purchase your dream computer. That’s what we’re here for. Now at the moment we can’t help you if you want to purchase any other type of computer brand or no-brand name (check back soon as we grow our product line), but if you’re set on a Dell™, we can definitely help you. We can create terms to fit your needs, not the standard square metrics that other computer companies have, nor the tight guidelines that are set by some finance companies. You can call me (and yes I do answer my own phone) directly and tell me what your budget is. I’ll take a few notes on what you want and we will give you a quote on what you can get and then your customized financing plan. Just like that. Sounds simple huh? So? What are you waiting for? Pick up the phone TODAY and give me a jingle: 757-705-7739 and find out why we are the best at “bad” credit computer financing. PS: With our customized plans we can also help you repair your credit. So when you call ask us how. Recently our sister company decided to expand from the Service world into the Product world. In doing so, they realized that they are very good at writing documentation for computer software and could talk about what computers would fit your needs; however, to that end, they also realized while IT was their gig, financing was not. So in a joint partnership with CreativeAce, CFT has taken on their financing. If you cannot afford to pay for a computer outright, don’t want to add to your credit card debt, or don’t have established credit, then we are here to help. Check out our pages on the Dell™ products we have to offer then give us a call. We’ll customize a plan for you based on the product specs and you’ll be on the Internet in no time. We can be reached at 757-705-7739 and we are always happy to talk to new clients in our effort to meet your computer needs. When you call don’t forget to ask about our efforts to help repair your credit. Check back often as we plan to expand our product line over the next couple of quarters.